You can depend on the WPL team for reliable, flexible, and detailed service. With our extensive network of drivers and vehicles, backed by exceptional customer service and technology, we deliver on time and meet all delivery deadlines. 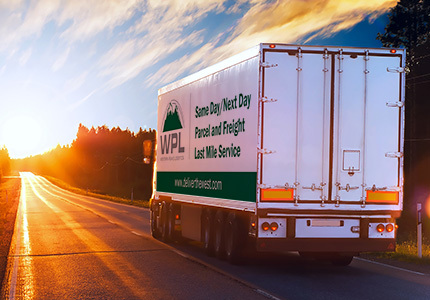 WPL has a large fleet of vehicles that includes: straight trucks (with lift gates), box trucks, tractor-trailer rigs, sprinter vans, cargo vans, and smaller courier vehicles. Our fleet of trucks is reliable and well-maintained. It is also our goal for our fleet to have reduced diesel emission and the highest fuel economy available in the latest model commercial vans and trucks. We actively seek owner operators to supplement our fleet, giving preference to those operating newer, more fuel-efficient cars, vans, and trucks. WPL drivers are experts in navigating the challenging, expansive Rocky Mountain terrain and weather conditions. Licensed and insured, our drivers have logged millions of miles trucking freight from state to state and are highly trained. Our drivers go through an extensive evaluation process, which includes full criminal background checks, drug screening, random drug testing, and MVR checks. Each driver is in full uniform with an ID badge. INTERESTED IN DRIVING FOR OUR TEAM? CONTACT US. WPL recognizes that the greatest competitive advantage we can offer is providing exceptional service and care to customers. We know that you are placing your trust in us, and we take that trust seriously. 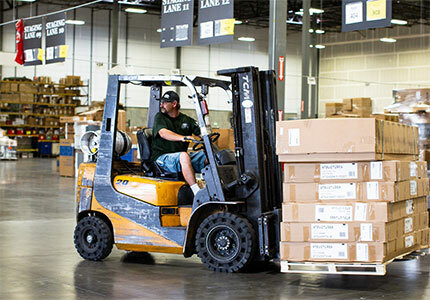 We handle all deliveries—from a single parcel to a pallet of product—with utmost care, respect, and courtesy. Our team members are professional and experienced and excel in situations requiring flexibility and attention to detail. 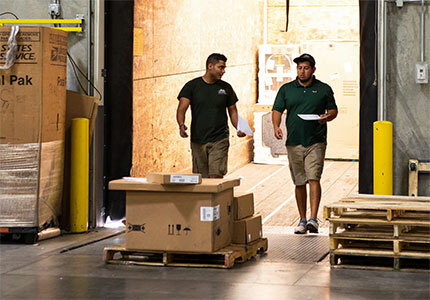 We pride ourselves on having a "can-do" attitude and will make every effort to accommodate your unique delivery, freight-handling, and logistics requirements. We commit to effectively and efficiently communicating with you throughout your entire transaction with our team. When you call, you will speak to a person, not a web-based broker. WPL has invested significant resources into innovative systems utilizing the latest technology to keep our customers updated on the status of their deliveries throughout the shipping process. 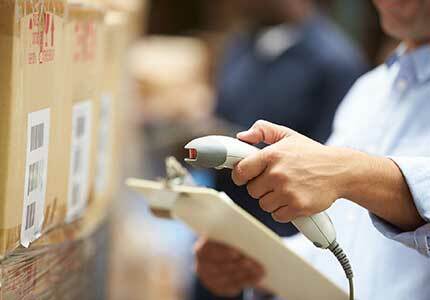 All of our sites are equipped with and use Xcelerator and other well-known courier solutions by Key Software Systems. With our e-track tools and a point of contact who you can reach 24/7, you will always be aware of your delivery’s location in real time. Whether you need a single dedicated driver or an entire fleet, WPL will provide a customized and cost-effective solution. We are staffed with business experts who know from the ground up that service, value, fair pricing, and accountability matter. INTERESTED IN GETTING A QUOTE? CONTACT US. 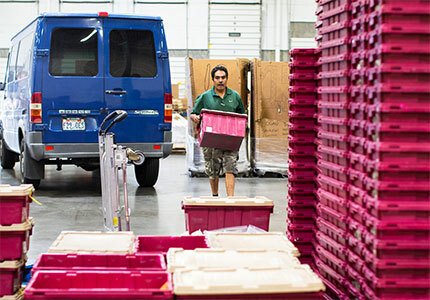 Western Peaks Logistics is the premier same-day/next-day and last-mile freight-forwarding, delivery, and logistics solutions provider serving the Rocky Mountain West. © 2019 Western Peaks Logistics. All rights reserved. Website design by [rs] RED SLATE STUDIOS.